McGill's Board of Governors joined Senate in unanimously passing the University's Policy against Sexual Violence at its meeting of Thursday, Dec. 1. McGill’s Board of Governors followed Senate in unanimously passing the University’s Policy against Sexual Violence at its meeting of Thursday, Dec. 1. PGSS Senator Victor Frankel noted that the development of the Policy, which has been more than two years in the making, “has been led by students and is survivor-focused. At its meeting of Wednesday, Nov. 23, a prolonged burst of applause followed a unanimous vote in favour of the Policy against Sexual Violence. As he has previously, Manfredi singled out members of the Student Working Group that, over the past couple of years, laid down the foundations of the Policy. “We are extremely grateful for the significant efforts they made,” Manfredi said. The Policy rests on three pillars: reducing the incidence of sexual assault through education; supporting survivors to the fullest extent possible; maintaining McGill’s commitment to procedural fairness. In a letter contained in Appendix 1 of materials provided to Senate, both Manfredi and Angela Campbell, Associate Provost (Policies, Procedures and Equity) laid out the raison d’être for the new policy. Angela Yu, the Equity and Diversity Commissioner for McGill’s Post-Graduate Students’ Society (PGSS), who has worked on draft, said in an interview she is cautiously optimistic the Policy will be embraced and will do its job. Yu noted improvements in the area of intersectionality (so that the Policy acknowledges explicitly the possible impact of factors such as racial, religious, gender and sexual identity on experiences of Sexual Violence) and in terms of resources that the University has committed to sexual violence prevention and response. 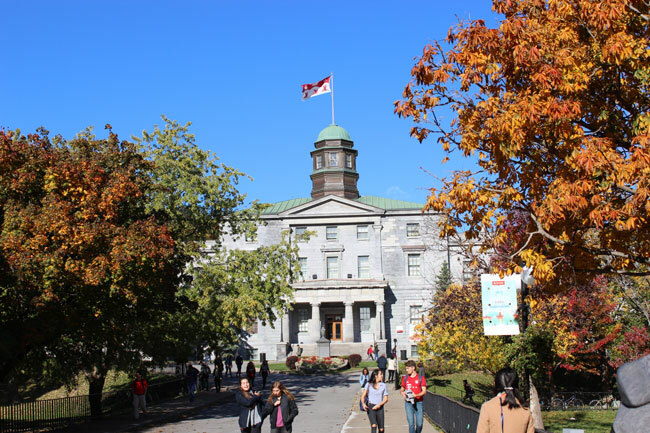 She remains aware, however, that some in the McGill community are concerned that the Policy doesn’t do enough to deal with the perpetrators of assault. “A lot of folks have expressed scepticism,” she said. The administration insists that providing robust support for survivors can be harmonized with accountable and fair disciplinary processes. “Our commitment to supporting survivors, no matter when or where an incident occurs, coexists with our commitment to procedural fairness in University policies and procedures. That view is a cornerstone of this Policy,” Campbell said. There was almost no discussion. Deputy Provost (Student Life and Learning) Ollivier Dyens proclaimed himself strongly in favour. “This Policy does everything that needs to be done,” he said, noting its support for survivors and commitment to allocating more resources. Manfredi had made two commitments at Senate last April: that a policy would be ready for approval before the end of the calendar year and that additional resources would be allocated to dealing with sexual assault. The University is in the process of hiring a second person, who will work as a Sexual Violence Response Advisor alongside Harm Reduction Co-ordinator Bianca Tétrault. The two will share discreet, accessible office space at 550 Sherbrooke St. W., Suite 585, West Tower. Both Campbell and Manfredi underline that a policy on its own will not do all the work required to reduce the incidence of sexual violence in a community the size of McGill. But it will provide clear guidelines for those supporting survivors, something Yu said is crucial. “It’s really important to have these clear procedures,” she said. The materials provided to Senate explained the extensive consultation process that led to the final version of the Policy. working with an external consulting firm (Parker P Consulting, an arm of White Ribbon), with more than 25 years’ expertise in supporting organizations as they work to combat gender and intersectional violence.